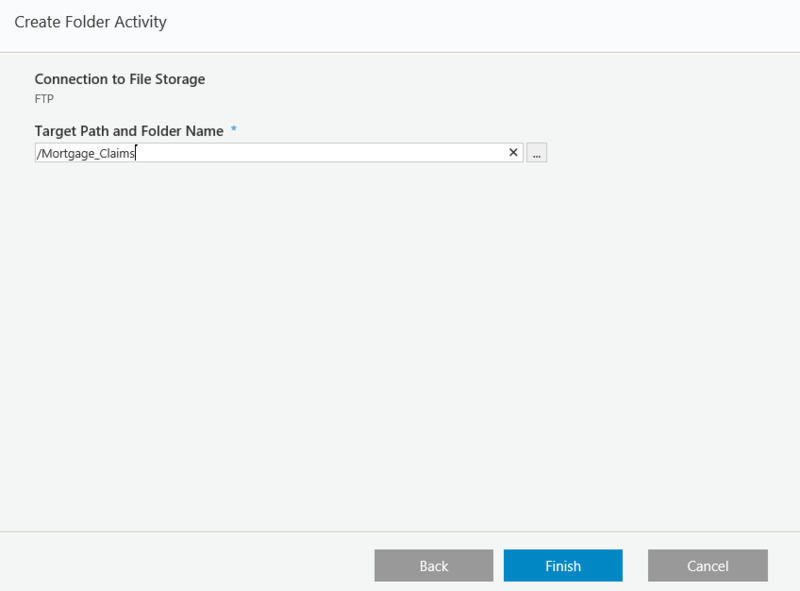 The Create Folder Activity creates a folder in an external storage system. After you create the folder, you can save items from Cora SeQuence to the folder by executing other activities, such as the Put File Activity. You can define the target path and folder name manually, or by using an expression. The target path and file name are appended to the external storage system's connection that you defined. You must use forward slashes (/) when you define the target path and folder name.